This is for a No Evil Serenity Buddha Statue Candle Holder Centerpiece from Shopatusm. 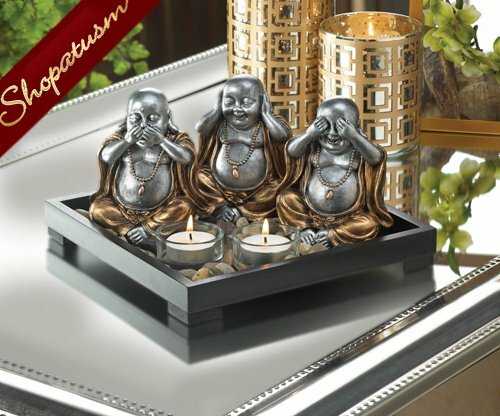 Invite peace and serenity into your home and remind everyone to speak no evil, hear no evil, and see no evil. The wooden frame of this serenity garden is filled with polished stones, two clear glass candle cups, and three charming Buddha statues.